Hi, I’m interested in Socket Set. Please contact me. Thanks! 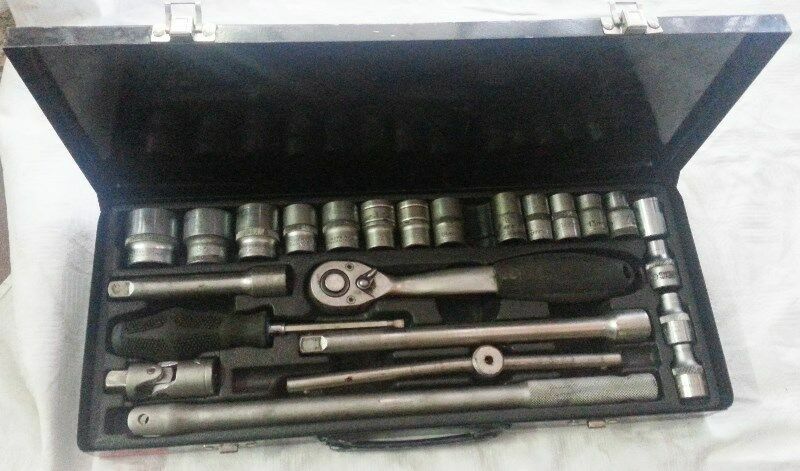 MIDAS Socket Set, 17 Sockets from 8mm to 30mm, With Rachet, Power Bar, Extentions and Screwdriver, in Metal Case. I have a variety of tools and garag e item's going at bargain prices. There is lots and lots of items including wooden legs prices range from R 10. Hout opmeting staaf wat uitmekaar kan skuif.